As most of you know, I have a regular barnsitting gig that is a great little occasional moneymaker for me. Last year, for example, it funded the majority of my horse showing. But besides being a nice extra income generator, I also really do genuinely enjoy it. Having been a working student for years, then a barn manager, I have never really minded stepping in as long as it’s worth my while financially. Plus the place I barnsit for is, in my opinion, a shining example of the perfect gig. Since I always see people looking for barnsitters, or conversely people looking to barnsit, I thought I’d weigh in with my opinion on a) what makes a good barnsitting gig, and b) how to be a good barnsitter. This seems obvious, but you’d be surprised. It’s as simple as making sure that there’s enough hay, shavings, feed, meds, supplements, etc to last through the entire time you’re gone. If it’s blanketing season, make sure the blankets are located in an obvious place for each horse. Make sure water troughs and buckets are clean and filled before you go. Make sure the trash has been taken out recently, etc. It’s a lot easier for someone to walk into an operation that is “up to date” than one that starts out with a lot of extra tasks that need to be done. It’s also really really nice to have a fully stocked fridge so that the barnsitter doesn’t have to think about where they’re going to get food/drinks while they’re there. The less there is to worry about, the more focused they can be on doing a good job. As with any job, if you want to get and keep good people, you have to pay them what they’re worth. Besides the actual barn work, which can vary a lot depending on how many horses there are, don’t forget that this person will probably be driving a lot more, have to give up whatever else they do in their free time, and possibly even tailor their work schedule to take care of your place. Not to mention you have to take into consideration how much you’d be spending if you had to take all those horses/dogs/cats/etc elsewhere and board them while you were gone. If you want to get and keep a good barnsitter, pay them well. I have re-arranged horse show plans in the past to make myself available for barnsitting at my current gig, because making them a priority has always been worth my while. Label things. Put things in obvious places. Make some blanketing charts and feed charts. If you have lots of different pastures, draw a little map so that there’s no guess work involved. Make sure there are vet and farrier numbers on hand. It’s better for things to be ridiculously obvious than require someone to guess or try to work from memory. I will not be offended if you leave me several pages of notes and instructions. Telling me things like “X horse lays down for long periods during the day. This is normal, don’t be concerned.” is fantastic. Want me to throw the hay in a certain part of the stall? No problem. Want me to put this particular horse’s hay in a net? Consider it done. Most people are more than happy to do things your way, and I personally am never offended to see a lot of notes. Leave an itinerary for your trip, how to reach you, and who else to call in case you can’t be reached. There’s no such thing as too much information. It’s as simple as showing up when you’re supposed to, where you’re supposed to, all the time. If you commit to the gig, you’re committed and that’s that. Unless you’ve got a major emergency or you’re dying, you have to show up. Ultimately what people are really paying you for is peace of mind, and the most important thing for them is to know that they can trust you and count on you. I think the worst thing you can do to a barn owner is to flake out on them and leave them floundering for good help at the last minute. Don’t be the guy that ruins someone’s vacation. You have to remember that at the end of the day, these aren’t your horses and it’s not your property. Take care of them the way you’re told to take care of them, not the way you want take care of them. If they say to dump the buckets daily, dump the buckets daily. If they say to blanket at a certain temp, blanket at a certain temp. If they say to give these meds, by god please give those meds. You’re there to make sure everyone is taken care of the way the owner wants them taken care of, so do what you’re told. Besides just doing what you’re told, you also need to make sure you’re thinking about things and not just being an automaton. If you’re going to be gone all day and the forecast calls for heavy rain in the afternoon, leave the horses in. If there’s a hard freeze make sure that buckets and troughs aren’t frozen over and hoses/spigots are covered. If it’s buggy, make sure everyone is fly sprayed. If it’s muddy, make sure no one is missing shoes when they come in from turnout. If there are some kind of special circumstances (like New Years fireworks or a bad storm) make absolutely sure the horses are okay, even if it means being down in the barn at 1am. Give every horse a quick once-over when they come in from turnout to make sure they’re injury free. If the high temperature is just a hair over the upper limit requiring a blanket and you won’t be able to do a blanket change mid-day, put the horse in the blanket that is most appropriate for what the majority of the day will be like. Don’t turn the body clipped horse out naked on a 30 degree morning just because it’s supposed to reach 57 by 3pm. The barn owner won’t be very happy if her horse is shivering 6 hours a day and has regrown half it’s coat by the time they get back. These are all things that are just common sense if you take the time to think it through, but they’re the things that make the difference between a mediocre barnsitter and a good one. If something comes up or you have a question, don’t be afraid to ask. As a general rule I try not to interrupt anyone’s vacation unless I think there’s a valid reason, but it’s always better to be safe than sorry. Also, before you leave the property for the final time, check the owners’ flight to make sure they aren’t delayed, or if they’re driving send a quick text and make sure they’re still on schedule. While it’s fairly impossible to clean up behind yourself 100%, at least don’t leave a trail of mud through the house or leave blankets tossed haphazardly all over the barn. Try to remember to take your trash out, strip the linens, etc, and put things back to where you found them as closely as you can. Make sure the stalls are clean, shavings bags thrown away, the hose coiled, etc. Just basic “good houseguest” behavior that makes it easier for the barn owner when they get back, and makes them appreciate you a bit more. Of course, I think the real key to a good barnsitting/barnsitter relationship is that both parties are able to enjoy it. A pleasant experience all around makes for a win-win. I’ve only barn sat a few times in my life, so I’m definitely not an expert or a pro. However, these are some really, REALLY great tips! My trainer/BO leaves endless, very specific instructions for barn sitters, and I completely agree that you can never have too many notes…I’d much rather have things explicitly spelled out for me then have to wonder about a certain horse’s behavior or which blankets to use at what temps, etc. My trainer/BO also clearly labels everything in the barn, which makes things that much easier for everyone (as you mentioned above). YES, YES, A THOUSAND TIMES YES!!! I do a lot of barn and house sitting as well, and have been in the role of barn manager, etc., and all of these are WONDERFUL reminders!! I think a big thing is cleaning up after yourself – you’d be surprised how many people DON’T clean up after themselves, and how pleasantly surprised farm owners are when you clean for them while they’re gone. Great post! 🙂 They are lucky to have you and vice versa (Ha i giggled at the double puff blankets though it doesnt get that cold in Texas does it??) Here today we are at 12 degrees with a negative wind chill. GRHHHHHHHHHHHHHHHHHHHHHHHH there are not enough puffs in the world to keep blankets warmer…in this crap. 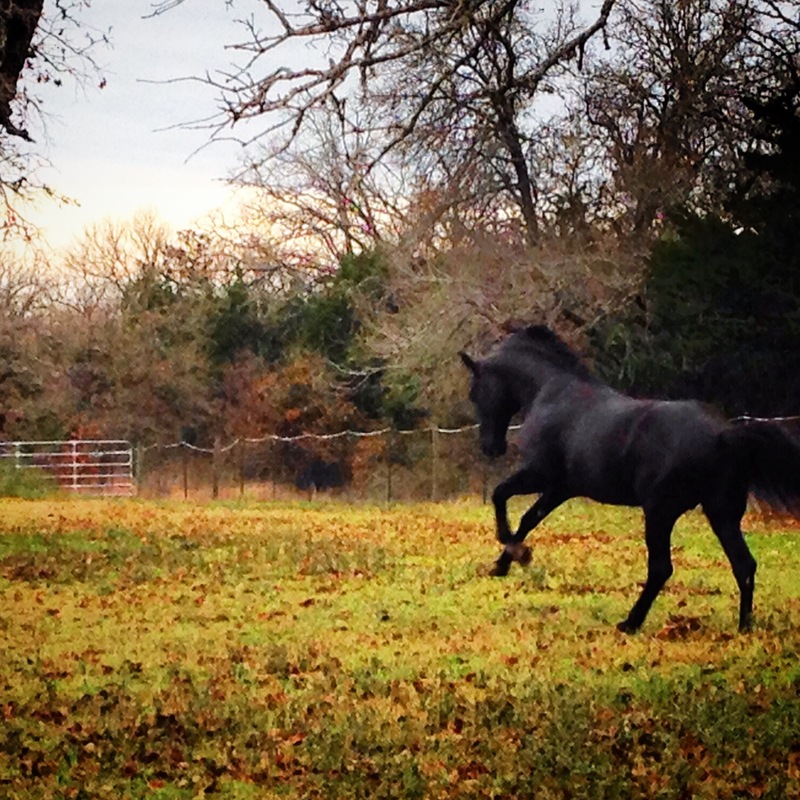 Our wussy body clipped Texas horses get pretty cold when it’s below freezing (not that that happens very often…). Henry spent a lot of time last year with his sheet and blanket doubled up. You’re right, taking care of someone else’s animals is a really serious responsibility! This is a great list! I always enjoy barn sitting for my trainer, and have done it many times since this summer. These are great things to keep in mind! Barnsitting is one of my favorite things. I miss my old gig. Great post! My nest egg is made from egg sales and barn sitting. You’re money ahead paying barn sitters well. Peace of mind is worth it. If I can break away and need a barn sitter, which is rare, I have a little notebook full of very specific, simply expressed, bullet-pointed instructions. When I use someone new, I bring them over for an in-person orientation (paid). Some people a visual learners, some aural, and some prefer written words. Best to cover all the bases. Fill water tub to the brim morning and evening. Horse sitter can confirm at a glance if very little or no water has been consumed. If water consumption is suspicious, and there’s little or no poop as well, offer a treat. If pony refuses treat we have a real problem. Unrecognized (low grade) colic is my main worry when I’m away from the barn. Even a non-horse person can make that call. I had a horse colic on me once while barnsitting and I wonder if they had had someon a little less experienced than me watching the place. She was barely showing signs but I just had a feeling and knew even though she wasn’t my horse she was NQR. Couldn’t get a hold of the owners, calle a vet and she worsened VERY quickly. So happy I caught it and trusted my instincts and didnt just leave. Always a worry of mine too! I love barnsitting… Unfortunately the lady who I barn sit for last, her husband paid me and it wasnt much. Its too bad because I love looking after a nice stable! I looked after 10+ horses for one of my friends a few years ago and was very disappointed with what she paid me. She has since moved, but I wouldn’t barn sit again unless she agreed to pay me better. Yeah, I have a minimum too. You learn the hard way! She is just a really cheap person. I though since she was my friend, she would pay me well, but that was not the case. I think what some people, including my friend, don’t realize is that while they’re used to doing that work every day, when you’re not used to doing it, it is especially hard. The other lady I worked for had a daily amount she paid across the board, but she almost always ended up paying me extra because I did a lot of little things to help out beyond the job description. I’ve done much more of dog-sitting in the past than horse-sitting and I’m a huge fan of long notes, especially if I don’t know what is normal or not for that particular animal. I always set up a little “meet and greet” type deal where the Owner and I go through everything, they show me where everything is, and I meet the animals. When I leave my own animals behind, I leave TONS of notes… I even include “emergency” situation type scenarios where the house-sitter cannot get a hold of me and they need to make a decision ASAP. It sounds really… awful, but it gives me peace of mind. Gah. I really need to proof read. I even include that in emergency-type scenarios, what I would like done, provided the house-sitter cannot reach me. I have 3 dogs that are pretty simple to watch. Pretty much feed, water and let them outside. But I typically leave tons of notes. I just feel like it’s so routine for me that a lot of things I just don’t think of so I try to list every detail. I really like this post considering I have been the barnsitter and the barnsittee and you hit everything on the head! Perfectly. While I really love boarding, I did enjoy taking care of my own horses as well and was always nervous to leave. I always trusted my people & it helped my horses were super easy. Labeling and details make all the difference! I am currently boarding my horses and providing all of their food, so I’m trying to make them as easy as possible to deal with. And when I leave for vacation and they’re back home, I try to make taking care of them as easy as possible. I love detailed directions, both giving and receiving. I even give people my dogs’ individual levels of cognition and number of brain cells so they are prepared for the dumbs. But I’m an overtalker in general. Husband makes fun of me for my instructions, but I love having them myself, so he loses again. Hopefully you know how much your barn sitter appreciates the opportunity. Truly a win-win. great posts from both points of view – i always leave *super* explicit directions for pet sitters (usually complete with photographs) and have never had a problem, or worried (which, like you said, is kinda the whole point). except for that one person who told me upon my return that she ended up not covering as much time as i anticipated and offered to return what i had paid her up front…. not really the point, lady! As a barn sitter/house sitter it is always nice to get a tip or a little gift from the trip. It makes me feel special and I will go out of my way to help them in the future. I also like it when people are generally “low key” and you can exceed expectations. I like long lists until I realize I didn’t get paid well. The worst is not having clear instructions and them getting upset at something.